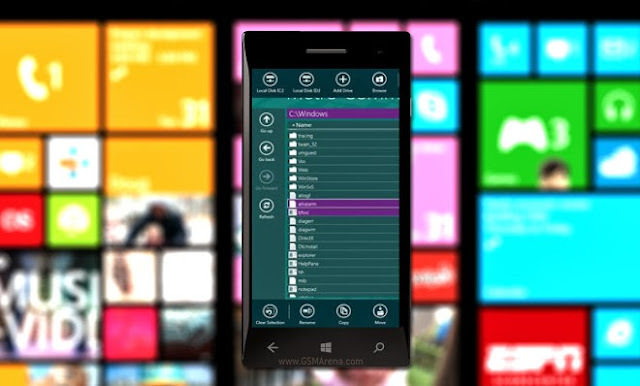 Windows Phone is growing fast, but still lacks some features users might want. That’s why Microsoft has set up a feature suggestion program in which anyone is free to participate. One such reader has submitted a request for a native file manager in Windows Phone 8.1 and got a reply from the Windows Phone team that the request has been completed, meaning we might see the feature in the next update to the OS. WP has had rather limited file managing skills ever since its inception and even though things improved recently and we got some decent third-party alternative so it’s great to see the feature going native. iOS lacks in this department while Android has the widest selection of file managers available. 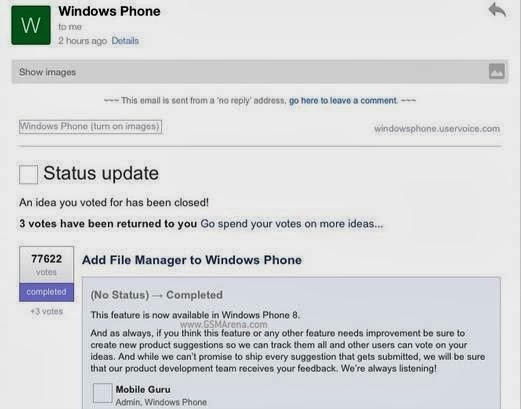 We’d much rather see some type of unified notification system in Windows Phone, though. Hat tip to Michael99uk for sending this in! Image credit to Metro Commander in the Windows store.